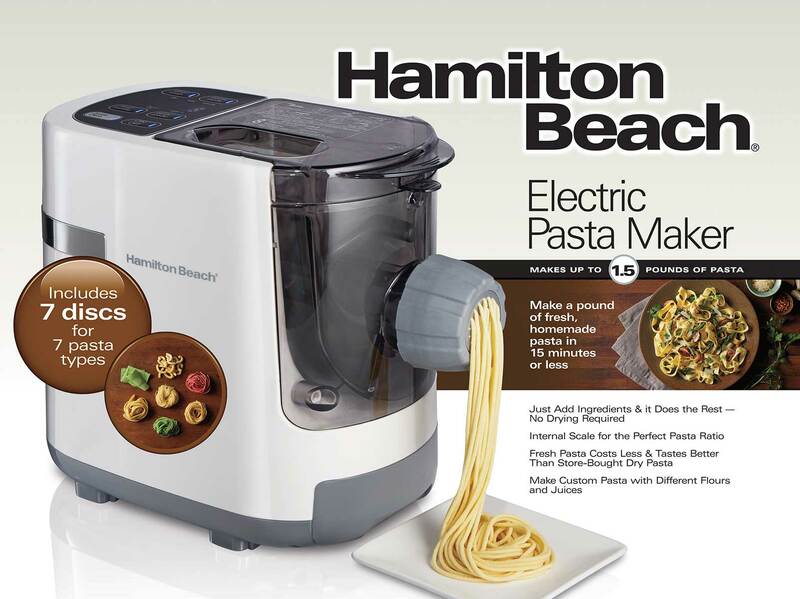 With the Hamilton Beach Electric Pasta Maker, fresh, homemade pasta is now as simple as adding ingredients and pushing a button. In 15 minutes or less, you can have pasta that’s ready to boil. 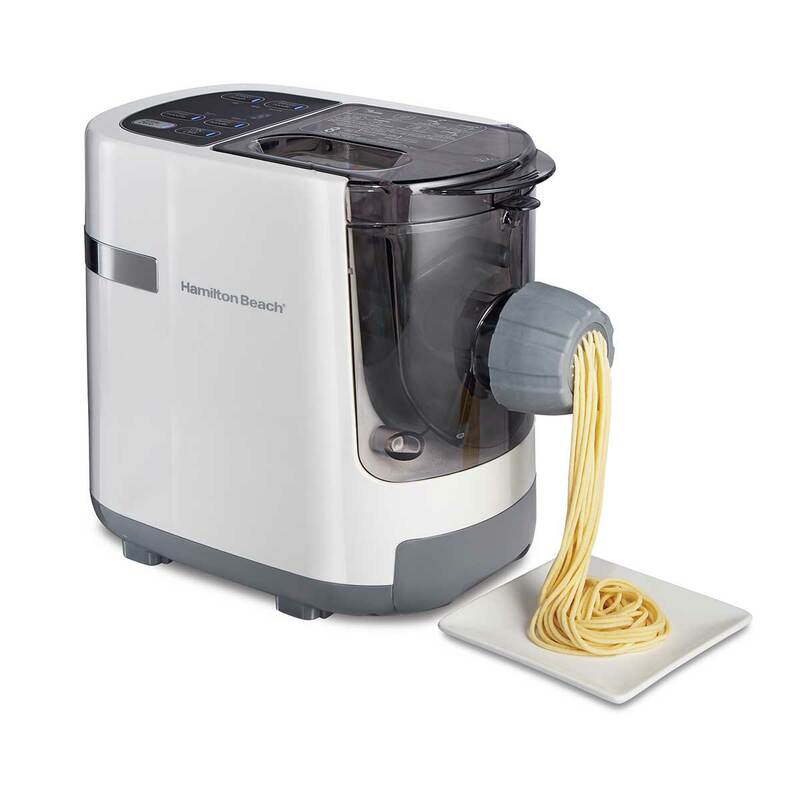 The pasta machine mixes, kneads and extrudes the pasta for you. It’s no longer a splurge at the store or a cooking DIY that requires hours. 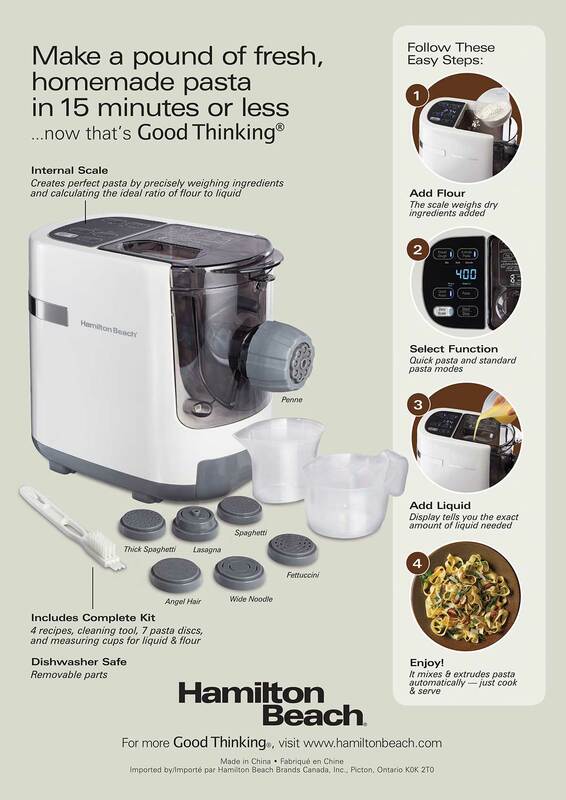 An internal scale measures the flour and calculates how much water you need to add. Choose from 7 different pasta shapes and get creative with flavors by using vegetable juices and purees or different flours. Add all-purpose, wheat or gluten free or another flour that you prefer. 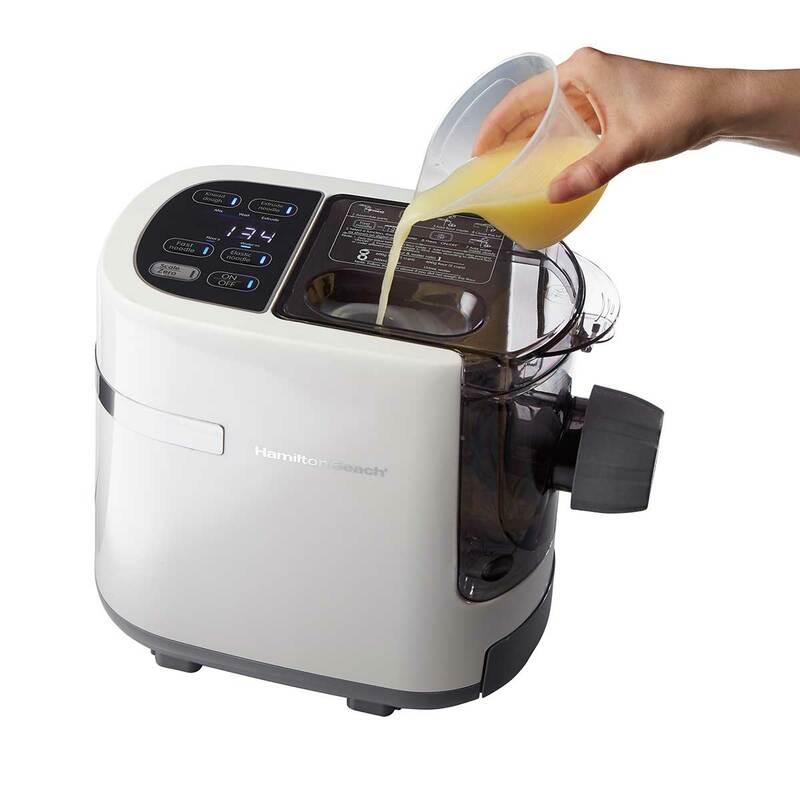 Use the digital keypad to choose quick pasta or standard pasta noodles. 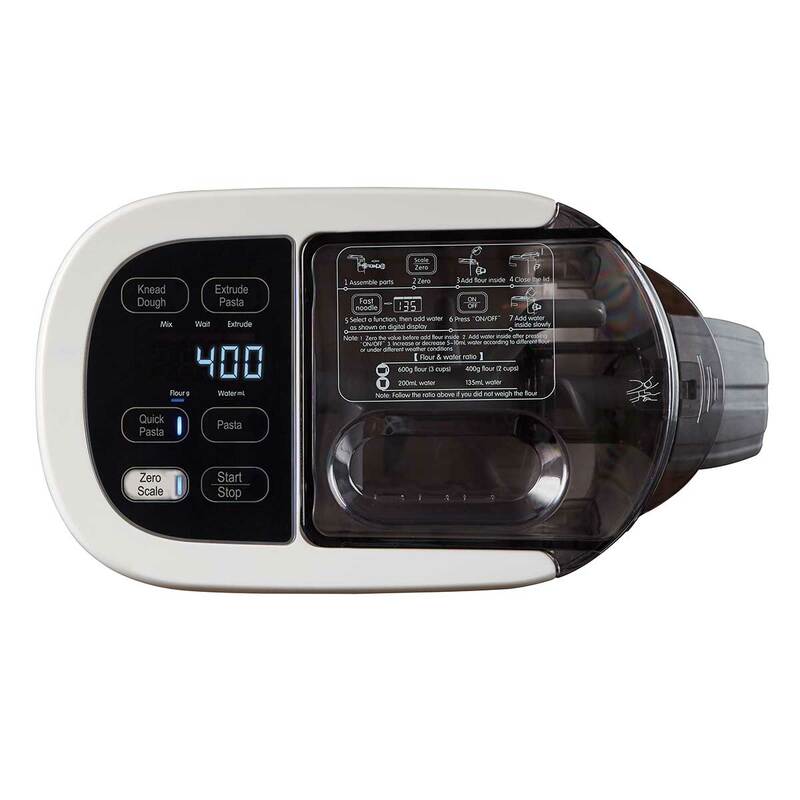 The display will tell you the exact amount of liquid needed. 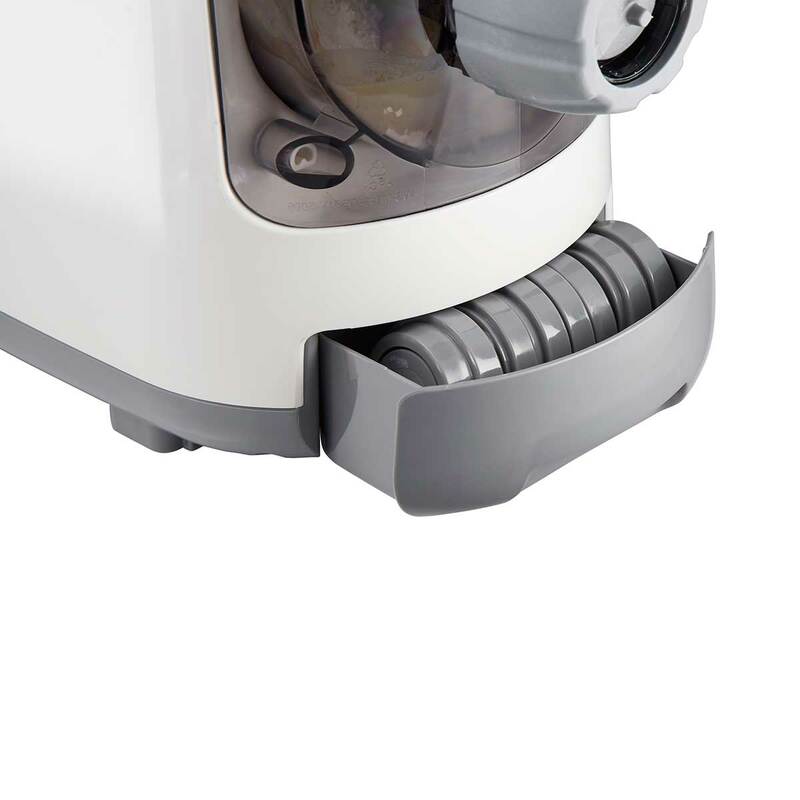 The machine will mix the ingredients and then automatically begin extruding pasta when the consistency is right. Add the freshly made noodles to boiling water for a few minutes and enjoy. Choose from thick spaghetti, lasagna, spaghetti, angel hair, wide noodle, penne and fettuccini. Create a fresh pasta dish in no time at all. Once noodles are extruded, you can add them directly to boiling water. 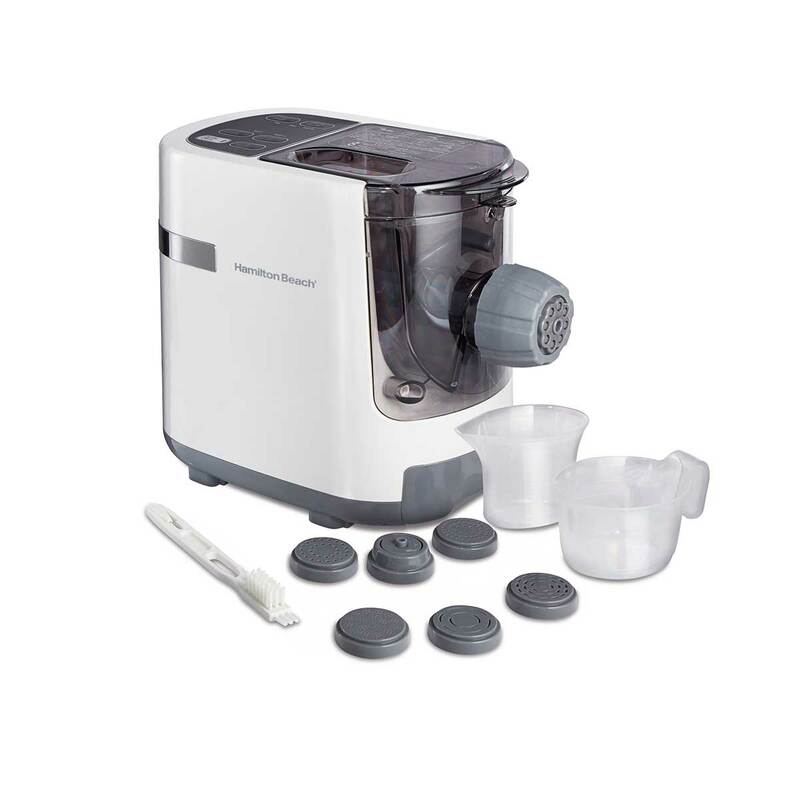 Easily master the basic water to flour ratio with the help of this electric pasta maker. 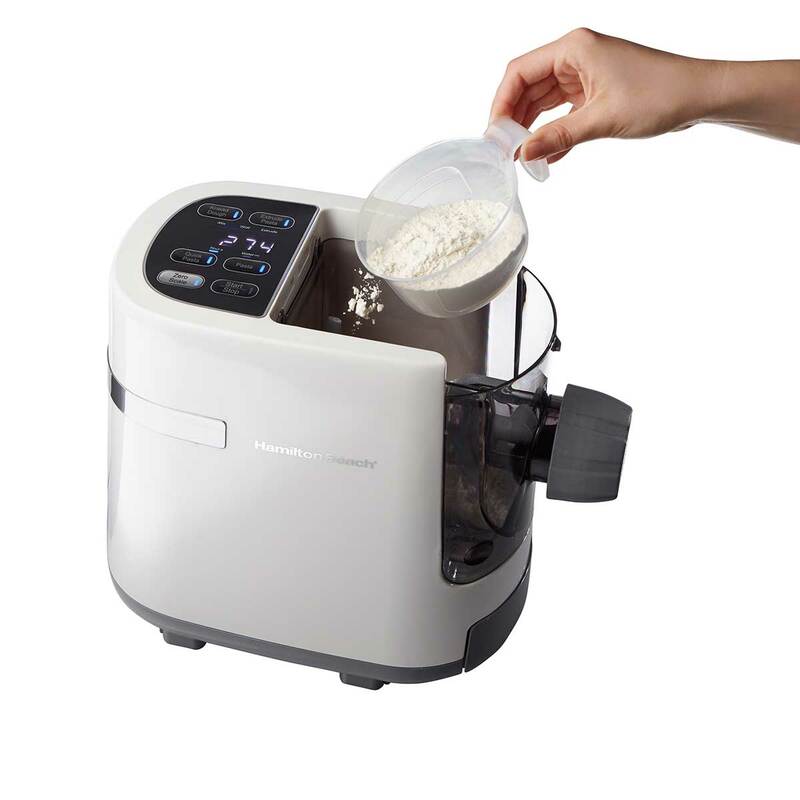 It automatically calculates how much water you need based on the amount of flour you’ve added. 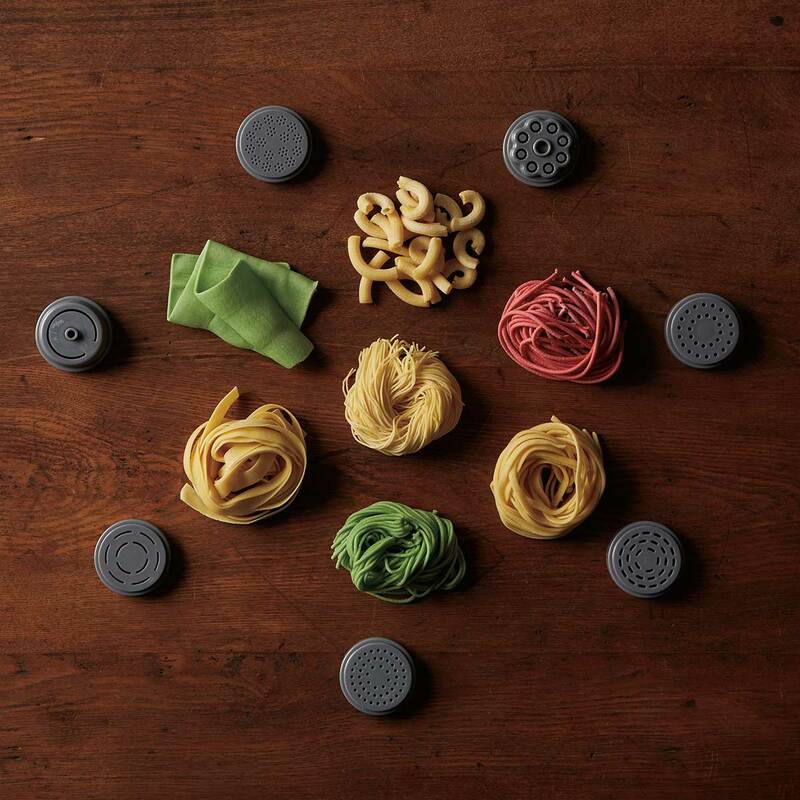 Keep your 7 pasta shape discs in one place with the built-in storage drawer. The flavor possibilities are endless when you make your own pasta. Add vegetable juices like carrot, spinach or beet to give your pasta a burst of color and flavor. Try spices and different flours, too.